My wife came home the other day, and in the midst of a causal brief about our day, she mentioned that one of her co-workers was on a diet. She went on to say that her colleague was proud that she was cutting out all carbs and attending the local "drive-you-into-the-ground-yell-in-your-face" bootcamp. Then I asked my wife, "How long has she been dieting and going to this bootcamp?" "Several months now," she replied. "How is her progress," I responded. "She's always asking me if it looks like she's lost weight, so, I don't know," was her answer. It was nearly 10 P.M., at night, so I didn't have the endurance to dig deeper. But the point of this story is to highlight what many people go through in their attempt to lose body fat. Does the story of endless activity, mindless dieting and the demonization of an entire macronutrient sound familiar to your or someone you know? It's probable given the statistics. Tired of seeing brands focused solely on the ?bottom line?? 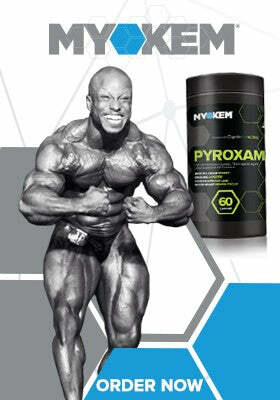 Myokem set out to make the BEST products in the industry. Click here to order now. Studies show that 73% of New Year's fitness goal resolutions flame out before maturation. The mildly tragic part of this is that, it's not desire or motivation to do better holding people back. Instead, it's a broken approach to fat loss that stands in the way. I left out a part of the conversation I had with my wife about her colleague, but I suppose this is a good place to plug it in. She mentioned her colleague slams down a few tablespoon's of apple cider vinegar before each meal because it burns fat. It's time to end the infinite cycle of no results. Here are five ways to bust through a fat loss plateau. You could be a nutrition zealot, a wellness warrior or diet guru, but if you're eating more calories than you body can use for energy, the excess will be stored as fat. I know this might break the hearts of the clean eaters and Whole Foods shoppers (I'm not hatin', I love Whole Foods too), but even nutrient dense foods can cause fat gain. You know, things like almond butter, grass fed steak, avocados, quinoa and the such. This doesn't mean high quality food isn't important, it just means that you need to operate within caloric parameters wisely to induce the result you want. Avoid the soft, fat, bloated look and control your estrogen with Myokem Alphadex. Order now. In basketball, there are some ground rules. The court is 94 feet long, the hoops are 10 foot in height, the free throw line is 15 feet from the end-line. You can have five players on the court at one time. There are sidelines on each side of the court. Depending on the level of play there are two or three referees calling the game. After these parameters are set, each team has the ability to play how they want. They can run a full court press or a half-court zone defense. They can play at a high-speed run n' gun pace or they can play smash-mouth ball and slow it down - drain the shot clock and pound the ball inside. When it comes to dieting for fat loss, there are parameters you need to operate in. Once you recognize the boundaries, you're free to play the game how you like as long as you're in a daily deficit. To establish a deficit use this calculator to determine your TDEE. This is your total daily energy expenditure. It reveals how much energy (calories) you need ot maintain your current weight. Then, take your TDEE and reduce by 300-500 calories daily. Once you arrive at your new daily intake, you'll have to ration our macronutrients. For aggressive fat loss, a ratio of 50/20/30 seems to be a sweet spot. Meaning 50% of your total intake will be sourced from protein, 20% will be sourced of carbohydrates and 30% from fat. You might be trapped in a body that is malfunctioning. The cause? Prolonged and severe dieting. Have you ever grabbed an arbitrary number, let's say 1,800 calories, and tried to eat under that in an attempt to lose fat? Further, if eating that amount didn't work, did you continue to slash intake further with hopes to spark fat loss? It feels like trying to hold the wind with a net. Welcome to NITRAMINE? ; where every workout is your best workout. Buy now. But in today's health and fitness environment, dieting in this manner is normative. A lot of people are dieting, but we're the most overweight we've ever been. Yes, I know point number one blatantly stated that you need to cut your total intake to lose fat. However, that's assuming you have been eating at maintenance level or at a calorie surplus. In this state, your metabolism, thyroid function and hormones are all primed for fat loss. But if you can't remember the last time you weren't dieting, it's a red flag (and probably the reason why you can't burn any fat). One reason why you remain soft and flat is because severe dieting may be leading to low protein intake causing a loss of lean muscle mass. When you cut calories so harshly over a long period of time, the body will revert to your own muscle for energy. Sure, this will cause some weight loss, but that's not what you're after. You want fat loss, not muscle loss. Another reason why severe, prolonged dieting may hindering fat loss progress is the fact that your your body is designed to protect yourself against what it perceives as famine. It does so by lowering your thyroid hormones (which regulate your energy utilization, metabolic rate, and body temperature) and continues to drop until a repair job happens. Thus, you burn less calories and store fat more efficiently. Nutrition therapy is the solution. If you've been dieting for as long as you can remember and progress has stalled, it's time to reverse diet your way up to a healthy daily intake. Instead of blasting your total daily intake through the roof right off the bat, it's wise to gradually bump up your calories over time. Increase your intake by 200-400 calories every two to six weeks until you've worked up to your maintenance level of daily calories. To determine what you need to be eating in order to repair the damages caused by prolonged dieting use this calculator to find your TDEE. 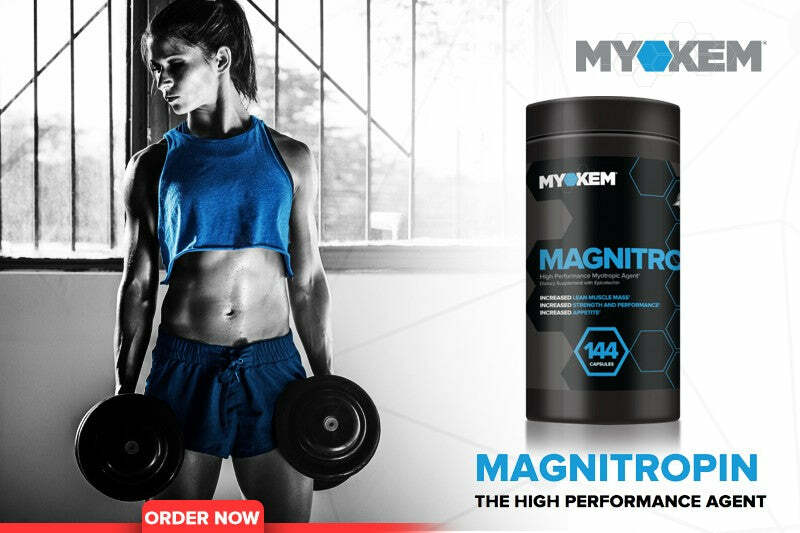 Magnitropin is a natural anabolic designed for elite strength and as a mass accelerator. Order now. I know, it's pretty damn tempting to fall for the carefully crafted marketing mainstream fitness media feeds you. Promises that seem to good to be true, are freely exchanged in the health and fitness industry. If feels slimy at times - almost like dealing with a used car salesman who asks about how your family is when you know damn well he doesn't care about your family. All he wants is your checkbook. But since the message of instant gratification is overwhelming, you start to believe that undoing years of poor eating and reversing thousands of sedentary hours in 27 days is possible. And when you try something for 27 days, and it doesn't work, you blame everyone and everything but yourself. Onward to the next fad diet or latest training program in the glossy magazine you go. There isn't a quick fix. It's going to take some sweat. It's going require some effort. It's going to demand resilience in the face of setbacks. It's going to test your patience. Pull yourself back into the truth. This is going to be hard - but the reward is worth the struggle. When you're dieting, the primary role of keeping strength training in your approach is to maintain muscle mass (if you're a newbie in the gym you can gain muscle mass while you lose fat). However, if you take a look around , the dieters look like lambs that can't stand the weight of their own wool. Sure, increasing intensity is fine in a fat loss phase, but submitting to the fact that you can't move big-poppa weight because you're dieting is absurd. You must fight like hell to stay strong when you're trying to lose fat. This means you have to train hard. Stepping off the gas and softening your approach to strength is one of the main reasons your body doesn't look the way you want to look. They will not train as hard as possible. They do not believe that a program can be effective if it appears limited in the number of exercises. They will not train as hard as possible. They lack confidence in their ability to gain muscular strength and size. They will not train as hard as possible. The connective tissue of his statement is clear. When it comes to fat loss, prioritizing strength training is your golden ticket to your best body ever. Stress is first and foremost, a good thing. Without it, life would be as thrilling as watching paint dry. However, when it becomes chronic both physically and psychologically, problems arise. There are many parts to stress management, but the head of the monster is the hormone cortisol - which runs-a-muck when stress levels are out of control. Increased fat gain around the belly. Consistently high blood sugar levels. Ravenous cravings for high calorie foods. Impaired nutrient absorption. Insomnia. Elevated cortisol can even lead to erectile disfunction or disrupted ovulation cycles. It doesn't take a genius to realize why this can stand in the way of fat loss. Simplify - We can get caught up in responsibilities that we took on for no good reason. When we bite off more than we can chew (buying a car we can't afford, renting the luxury apartment that requires us to work 70 hours a week, etc) it causes stress that could otherwise be avoided. Where can you simplify your life to free up some mental and physical bandwidth? Work in rhythms - Research shows that we work best in 90 minute intervals. Otherwise, we get stuck in a monotonous trek. Build renewal into your workday. Every 90 minutes or so, take a break, go for a walk, call a friend. Meditate - Meditation is arguably the most practical way to deal with stress and manage cortisol levels. you don't have to move to Tibet and wear a robe to reap the benefits either. All you need is 10 minutes a day. Headspace.com is like a personal trainer for your brain. Adopt a nightly routine - Set an alarm to get to bed. Ideally, get 7 hours of sleep or more. Dock all screens one our before bed since the blue light interrupts melatonin production (the hormone that helps you fall asleep). Each of you will be in a different position to bust through your fat loss plateau. Review the five culprits we just went over, internalize the solutions I provided, and start where you feel it's most appropriate given your situation. The good news is that, you can do this. You've got what it takes to breakthrough. It'll just take a few tweaks and some patience. Do yourself a solid and break the cycle. Modify your approach so you can finally get the results you want. 1) "Craving in Response to Stress Induction in a Human Laboratory Paradigm Predicts Treatment Outcome in Alcohol-dependent Individuals." PubMed Central (PMC). N.p., n.d. Web. 19 Dec. 2015. 2) Kubik, Brooks D. Dinosaur Training: Lost Secrets of Strength and Development. Louisville: Brooks D. Kubik, 1998. Print. 3) Schwartz, Tony, Jean Gomes, Catherine McCarthy, and Tony Schwartz. Be Excellent at Anything: The Four Keys to Transforming the Way We Work and Live. New York: Free Press, 2011. Print. 4) "Stress and Sleep Disorder." PubMed Central (PMC). N.p., n.d. Web. 19 Dec. 2015.